You'll be £25.00 closer to your next £10.00 credit when you purchase Kings and Kingship in the Hellenistic World 350 - 30 BC. What's this? Between c.350 BC and 30 BC the Mediterranean world was one in which kings ruled. The exceptions were the Greek cities and Roman Italy. But for most of that period neither of these republican areas was central to events. For the crucial centuries between Alexander the Great and the Roman conquest of Macedon, the political running was made by kings, and it is their work and loves and experience which is the subject here. Romes expansion extinguished a series of monarchies and pushed back the area which was ruled by kings for a time, but the process of building a republican empire eventually rebounded on the city, and the Romans empire came to be ruled by an emperor who was in fact a facsimile of a Hellenistic king. 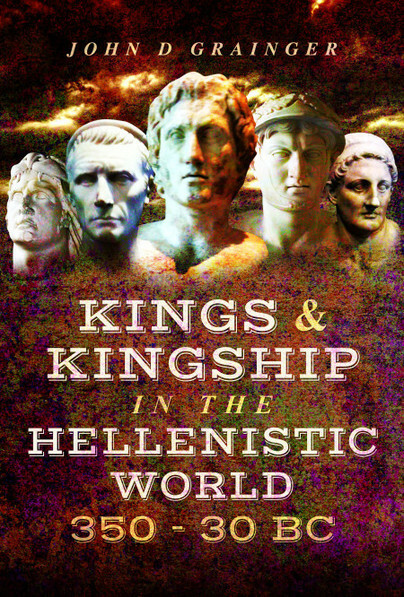 Rather than attempting a narrative of the various kingdoms, John Grainger takes a thematic approach, considering various aspects of Hellenistic kingship in turn. This allows him to highlight the common features as well as the differences across the various dynasties. How did one become king? How was a smooth succession secured and what happened when it was not? What were the duties of a king, and what were the rewards and distractions? These are just a few of the interesting facets examined in this original and fascinating book. This book is a fascinating account of intrigue, power politics, dynastic alliances and warfare in the ancient Mediterranean world overlapping three continents.